The planned ‘Black Friday” protests at Walmarts across the country appear to have flopped. “OUR Walmart”, an organization backed by the United Food & Commercial Workers (UFCW) union, said it expected employees in 100 cities to walk off the job on “Black Friday,” the unofficial start of the holiday shopping season that accounts for up to one-half of retailers’ profits. In response to the UFCW’s planned protests, Walmart US Chief Executive Bill Simon stated, “Only 26 protests occurred at stores last night and many of them did not include any Walmart associates.” In addition, the company did not experience the walk-offs that were promised by the UFCW. “We estimate that less than 50 associates(the term Walmart uses for employees) participated in the protest nationwide. In fact, this year, roughly the same number of associates missed their scheduled shift as last year,” Simon said. Indeed, according to Reuters, only 1 person walked out of among the 500 employees at a Walmart in Chicago’s South Side. There are reportedly 1.3 million Walmart employees nationwide. 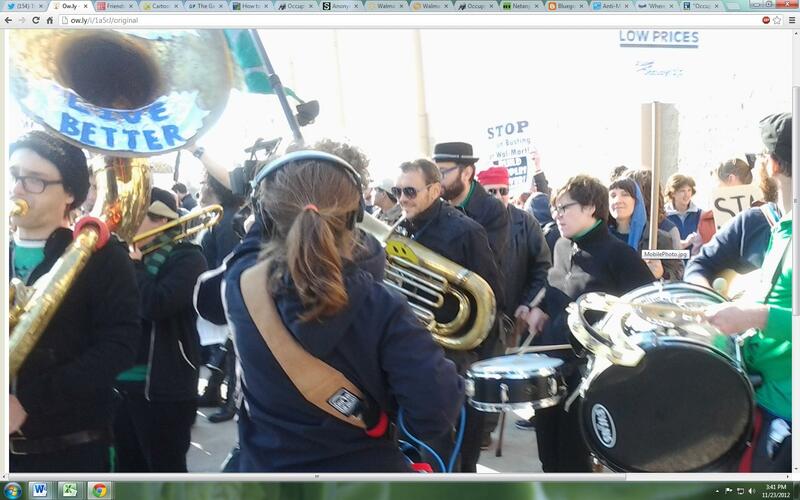 Self described “Revolutionary Marxist” Caleb Maupin at Secaucus Walmart protest. Credit Getty Images. Occupy has started wepay donation pages to donate for “Walmart strike organizers” and “Walmart strikers”, including asking for donations to pay for their food and feminine hygeine products. 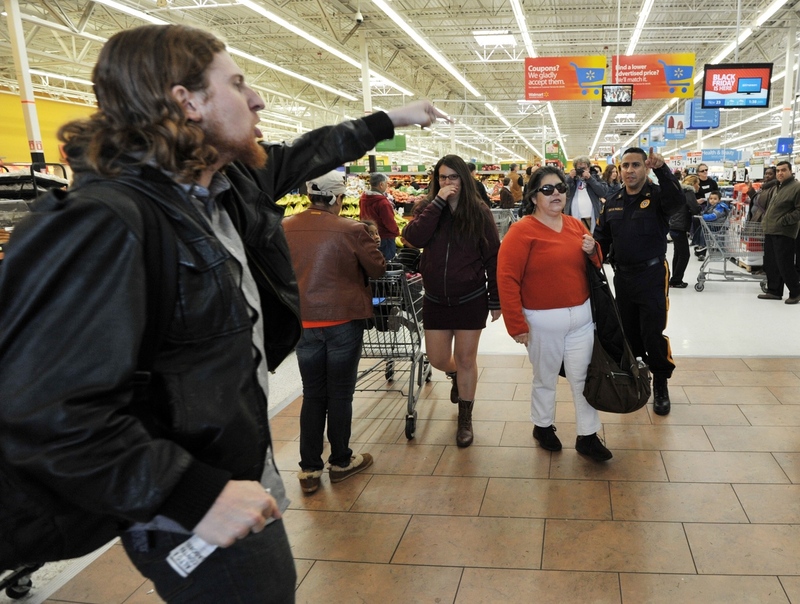 In the face of the “protests”, Walmart reports that it had its best Black Friday ever. Those employees that worked Black Friday got an additional 10% of on an entire basket of goods and were rewarded with holiday pay. Between the two donation pages, Occupy has accumulated a tidy sum for “Walmart strikers” and “strike organizers”, allegedly over $18,000. One wonders who this money will actually be going to, since it seems that Occupiers are the “strikers” and “organizers”. This entry was posted on November 23, 2012 by nickarama. 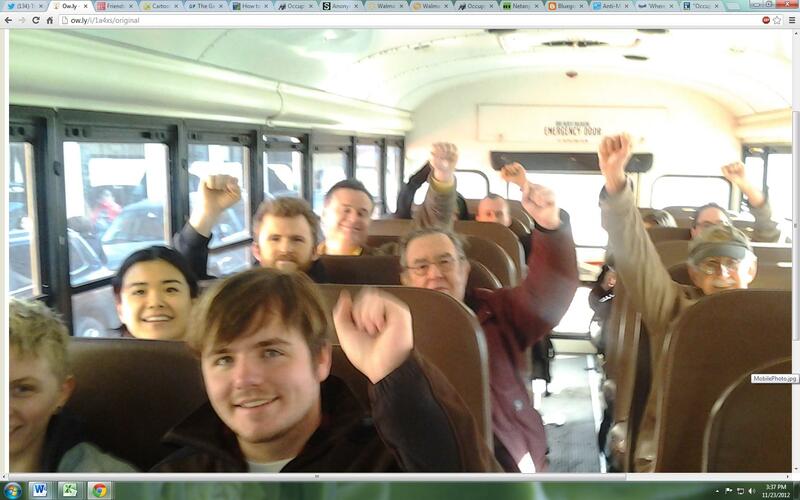 It was filed under Occupy and was tagged with Black Friday, Occupy, OWS, strike, Walmart.